Unexploded Ordnance [UXO] risk management specialists, Fellows International Limited, have recently bought the Cobra MDS underwater UXO disposal system from ECS Special Projects Limited in Dorchester. One of the primary drivers in this choice of disposal system was the safety benefits it offers. Multiple safety checks, at various stages in the firing mechanism ensure that both manual and automatic checks take place. This ensures the initiation of the disposal charge can only take place when it is positioned at the target, the delivery method (Diver or ROV) are safely recovered and the mother vessel is at a safe distance. The unique hydrostatic safety switch ensures that the disposal charge cannot be initiated via the detonating mechanism until it has passed a depth of 7m. In the unlikely event that a charge has to be recovered, the hydrostatic safety switch reverts the charge to safe mode therefore it can be recovered to the vessel. In addition to the Cobra system, Fellows use Breach MC, designed by Chemring Technology Solutions, as the preferred initiator for marine UXO disposal. Used in conjunction with a submersible or surface float, Breach MC adds another level of safety to the detonation system. With coded and time-safe arming systems, Breach MC allows the EOD Supervisor complete control over the process which allows the user to take unplanned events such as mammal encounters into account. Environmental checks and controls during MUXO disposal are extremely important and the use of a Marine Mammal Observer is obligatory prior to a detonation. This ensures that any impact to the local environment, including sea life is minimised or removed. Only when all of the precursor actions have been taken can the detonation process take place. Safety is FIL’s primary consideration when undertaking Marine UXO clearance and the addition of tried and tested technology adds to the simplicity of the Fellows approach. Fellows will be bringing the Cobra system and Breach MC with them to the Oceanology event where they are exhibiting. Come and see the systems for yourself at stand Q140 on 13th- 15th March at ExCeL London. 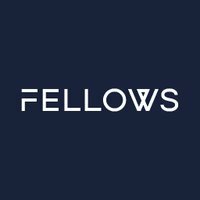 You can book a meeting with Fellows General Manager and Business Development Manager to discuss this further by emailing info@fellowsint.com.